FIFA World Cup Player Roundup: Who is Your Favorite World Cup Player? The curtain of 2018 FIFA World Cup Russia has already been pulled back, and more and more famous yet handsome football players enter our line of sight. 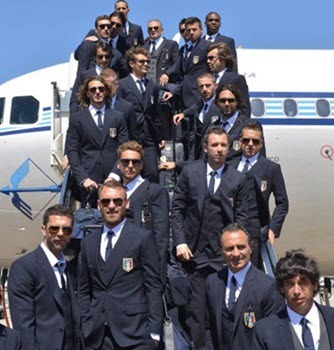 Among so many stylish World Cup players, can you recognize them at the first glimpse and how much do you know about them? Here I gather many famous FIFA World Cup players who has done a good job and impressed scores of football fans. Follow me and know more about your favorite World Cup player. Tip: If you plan to download YouTube videos of the following greatest World Cup players, MacX Video Converter Pro is the very one you can count on, armed with its highly acclaimed YouTube downloader and video converter to let you download and convert World Cup videos to your mobile device as you like. It shall be specified this World Cup video downloader and converter is now available totally free of charge for all participants who vote for the 2018 World Cup winner at MacXDVD's official World Cup giveaway page. Netherlands, Italy and Chile failed to qualify for the Russia FIFA World Cup 2018, which means that won't see top football players like Leonardo Bonucci, Alexis, Bale, Robben in 2018 FIFA World Cup. See the full list of 2018 FIFA World Cup squads. Cristiano Ronaldo: (born 5 February 1985) is a Portuguese footballer who plays as a forward for Spanish club Real Madrid and captains the Portugal national team. Ronaldo is well-known for his splitting speed of dribbling, breaking and shooting and his versatile techniques, all of which make him become one of the most excellent footballers in the current world. In 2007, Ronaldo was the first player in England to win all 4 main PFA and FWA awards. Later, he the first Portuguese player to win the FIFA/Ballon d'Or award for the best footballer in the world twice in 2008 and 2013. Moreover, He was awarded the European Golden Shoe in both 2008 and 2011. So far, he has won scads of awards and prizes, which perhaps need one day to list out. In short, he is a genius and has always been struggling to be much stronger. He is irreplaceable. Ronaldo Luiz Nazario De Lima: Born in 18 September 1976 and popularly dubbed "the phenomenon", he is considered by experts and fans to be one of the greatest FIFA World Cup players of all time. And he is one of only three men to have won the FIFA World Player of the Year award three times or more, along with Zinedine and Lionel Messi. 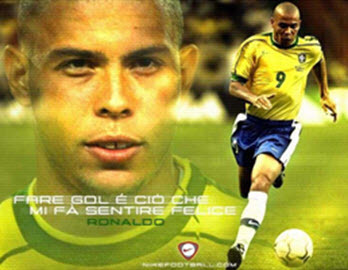 Ronaldo played for Brazil in 98 matches, scoring 62 goals, and is the second highest goal scorer for his national team. Though now he is retired, he is always being the super hero to countless football fans. Miroslav Josef Klose: Greeting to the world on 9 June 1978, is a German professional footballer who plays as a striker for Lazio in the Serie A. Klose is the first winner of Golden Boot after German Reunification and has played 131 times and scored 68 goals for Germany. He is also the current German most capped player, as well as top scorer and top assist, which is one of only two players, along with Peruvian Teófilo Cubillas, to have scored at least five goals in two different World Cups. 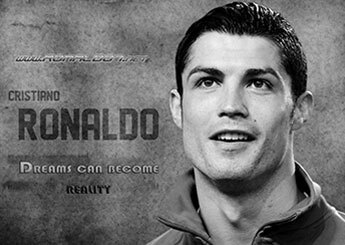 Now, he is still striving to write new football myth and create more football miracles. 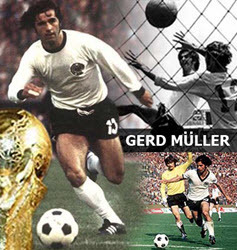 Gerhard 'Gerd' Müller: Opening his eyes on 3 November 1945, he is the most admirable yet greatest striker in German even in the whole world. With national records of 68 goals in 62 international appearances, 365 goals in 427Bundesliga games, and the international record of 66 goals in 74 European club games, he was one of the most successful goalscorers ever. His total sum of goals and goal efficiency are unbeatable, which so far are also the reachless ultimate goals of numerous strikers. Pele: (born 21 October 1940), is a retired Brazilian footballer. He is regarded by many experts, football critics, former players, current players and football fans in general as the best FIFA World Cup player of all time. He is the greatest sports star in the 20th century and awarded "The King of football" by the FIFA. During his football career, he had shot the total sum of 1283 goals and won the awards beyond count. In 1999, he was voted World Player of the Century by the International Federation of Football History & Statistics. 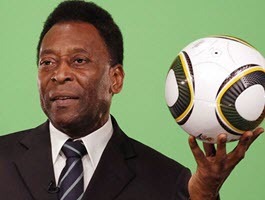 The same year, Pelé was elected "Athlete of the Century" by the IOC, and was named in Time magazine's list of 100 most influential people of the 20th century. In 2013 he received the FIFA Ballon d'Or Prix d'Honneur in recognition of his career and achievements as a global icon of football. In a word, Pele is the King of football not only past, but forever. Lionel Andrés Messi: (born 24 June 1987) is an Argentine footballer who plays as a forward for Spanish club FC Barcelona and the Argentina national team. By the age of 22, he won his first Ballon d'Or and FIFA World Player of the Year awards. He followed this up by winning the FIFA Ballon d'Or in 2010, 2011 and 2012. Commonly ranked as the best player in the world, Messi is the first football player in history to win four FIFA/Ballons d'Or, all of which he won incessantly, as well as the first to win three European Golden Shoe awards. He continues to create miracles in 2014 FIFA World Cup battle between Argentina and Bosnia and Herzegovina that he eventually scores a singnificant goal, the second World Cup goal, which lets him wait for seven years plus 364 days and he also feels so excited that he roars and runs wildely around the field. That's his time, meaning a lot to him and his fans, as well. Zinedine•Yazid•Zidane: (born 23 June 1972) is a French assistant coach and sporting director at Real Madrid, and a retired footballer who played as an attacking midfielder for the French national team, Juventus and Real Madrid. The critics say that it’s impossible to find one word to describe his entire life that he has received countless awards and honor, being the third king of football after Pele and Maradona. He reaps a unique yet cute name "Zizou" from his fans. 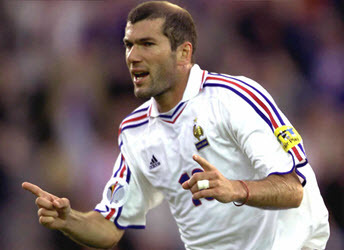 Zidane won the 1998 FIFA World Cup, scoring twice in the final, and UEFA Euro 2000 where he was named Player of the tournament. The World Cup triumph made him a national hero in France, and he received the Légion d'honneur in 1998. More amazingly, Zidane has won the FIFA World Player of the Year three times, a feat achieved by only Ronaldo and Lionel Messi, and the Ballon d'Or once. Even Pele has this evaluation on him: Zidane is the best footballer in the past ten years, which is obvious since he gains all the honor that a footballer can achieve and his performance is also quite impressive. 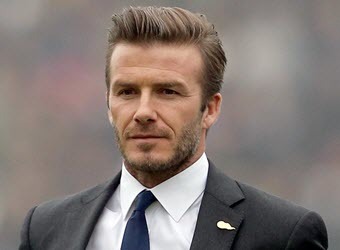 David Beckham: (born 2 May 1975) is an English former footballer. Rising to fame from Manchester United, he has entered his brilliant period since 1999. He was the first English player to win league titles in four countries (which were England, Spain, the United States and France). And he won the Premier League title six times, FIFA World Player twice in 1999 and 2001, and the UEFA Champions League in 1999. On 16 May 2013, Beckham announced his intention to retire after the football competition season through the FA official website. He has been married to Victoria Beckham since 1999, and they have four children. 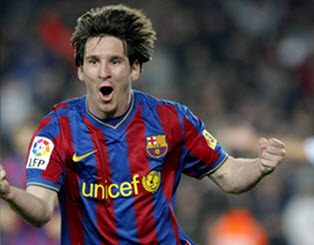 He is regarded as the best footballers among super stars and the most valuable stars among the FIFA World Cup players. No matter where and when is he, he is always the focus of attention. 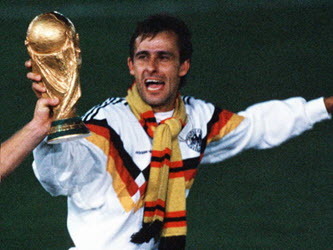 Pierre Littbarski: (born 16 April 1960 in Berlin) is a German football manager and former player. He was mainly a winger or attacking midfielder and is best known for his outstanding dribbling abilities. Littbarski was a FIFA World Cup winner with West Germany in 1990 and was also runner–up twice in 1982 and 1986 with West Germany. To surprise you, he is not only a talent FIFA World Cup player, but also a sound foreign expert that except his mother language German, he is also well-versed in English, French and Japanese. Diego Armando Maradon: hello to the world on 30 October 1960, he is a retired Argentina footballer, considered as the most excellent yet controversial footballer. Maradon can take charge any position in the front court, whose dribbling techniques and penetrating ability amaze the world. 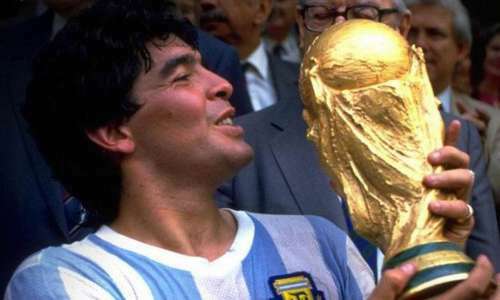 In 1986, based on his topping performance, Maradon led Argentina national team to hold the FIFA World Cup Champion trophy back to motherland second time. He is called the God of the football field that is born to be the greatest FIFA World Cup player. From this table, you can see that there are up to 5 great FIFA World Cup players from Brazil, which is worthy of the name-Football Kingdom. In comparison, as many as 6 legendary FIFA World Cup Players from Germany also show their great quality and strength. So no doubt it’s definitely worth looking forward to their splendid performance on the uplifting Brazil FIFA World Cup. The above mentioned or untouched world-renowned footballers, from different ages, countries and clubs, active or retired, they all have one thing in common: they love football and football is their life. They devote themselves in this grand sports and offer us splendid yet uplifting matches. They are all heroes and deserve our flowers, applause and respect. Warm Prompt: In the event that you are going to record World Cup video on iPhone iPad Android, MacX Video Converter Pro can meet your need that its built-in yet mighty screen recorder feature can let you hassle-free record any non-downloadable on-screen World Cup videos such that watching your favorite FIFA World Cup players’ match video on iPhone iPad is not a pie in the sky any more. Now it's a golden chance to join MacXDVD 2014 World Cup contest to get the program for free. Learn to free download 2018 semi-final/final match full video and highlights MP4, FLV, MKV, AVI HD, 1080p, 4K from 300+ World Cup Streaming sites, covering YouTube, Vimeo, Facebook, ESPN, and more. Are you still waiting 2018 World Cup matches on TVs with cable? Then you're out of date. Why not try to live stream 2018 World Cup or free download your favorite matches? Here's a complete guide on how to watch 2018 FIFA World Cup without cable.